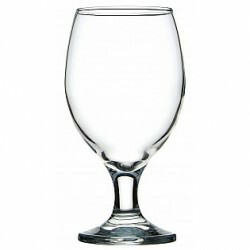 If you are after a classic English style beer mug for your restaurant, café, bar, hotel or function centre, the Britannia Beer Mug is what you need to be stocking. The Britannia is available in two capacity sizes – 285ml and a large 570ml – which means you can order these to suit your various marketing and promotional activities, and the large logo print area brings you logo front and centre to your customers. The dimpled appearance of the Britannia brings a different light to your beer, and if you are producing or supplying a traditional English beer to your customers, this will look right at home in your marketing campaigns. 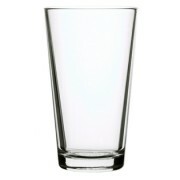 Due to their more traditional style, your clients and customers will love receiving one of these mugs in their corporate gift baskets or as an event gift. As a promotional merchandise item, you will find that many collectors will be on the hunt for where they can get a traditional style promotional beer mug. 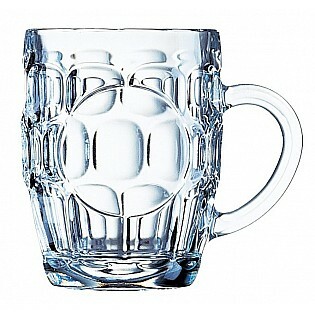 For a classic style promotional beer glassware, you can’t go past using the Britannia Beer Mug.